People say wrestlers do not have a soft side because they fight without emotions. 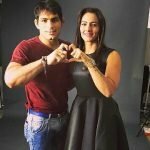 Geeta Phogat, the great wrestler who won Gold for India in Commonwealth Games in 2010, has found her love of life and her partner is as strong as her. Come let’s find out more about their journey. Geeta Phogat was already a shining star in the field of international wrestling after Commonwealth games. Her Bollywood blockbuster biopic Dangal brought her more fame and gave her recognition. Pawan Kumar too is a wrestler. He achieved medal in Commonwealth Games 2014. And they both follow the same circle being the strongest players of the country. 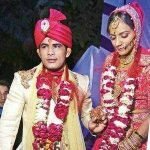 Love is always around us but we never know when will it hit us and the same happened with our wrestlers. They met each other formally in 2012 but in 2016 destiny had stored something for them. It brought them together when they were rehabilitating in Mumbai after their surgeries. Then they started meeting each other on a regular basis. Gradually they started building a strong relationship without bothering that Pawan is five year younger than Geeta. Their social accounts and handles made a shout out that they are in a blooming relationship. After confessing their love to each other they came to a decision of getting married. They stick to each other like a magnet. Love finds its representatives and makes us connect to each other. Supporting each other in all ups and downs is the purity of love and definition of marriage.